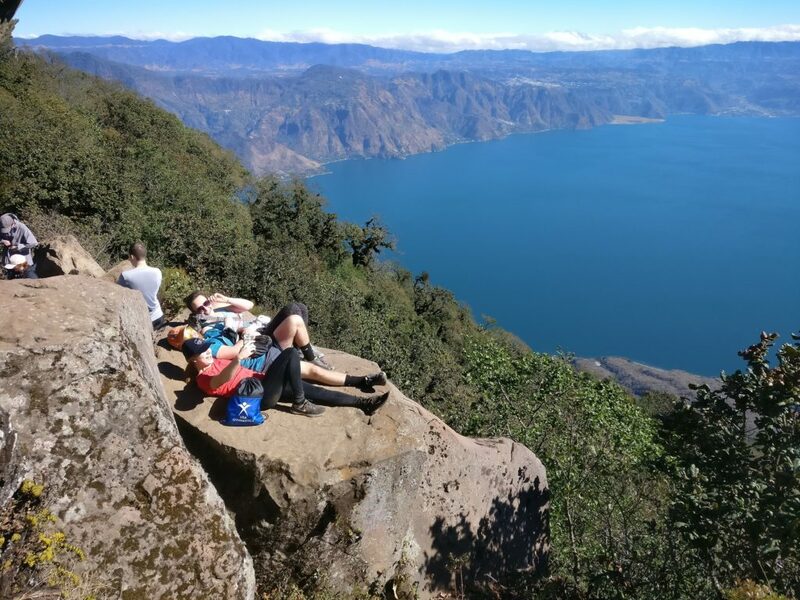 Volcano San Pedro is a must visit mountain sitting on the shores of Lake Atitlan. This amazing volcano reaches 3020 meters above sea level. 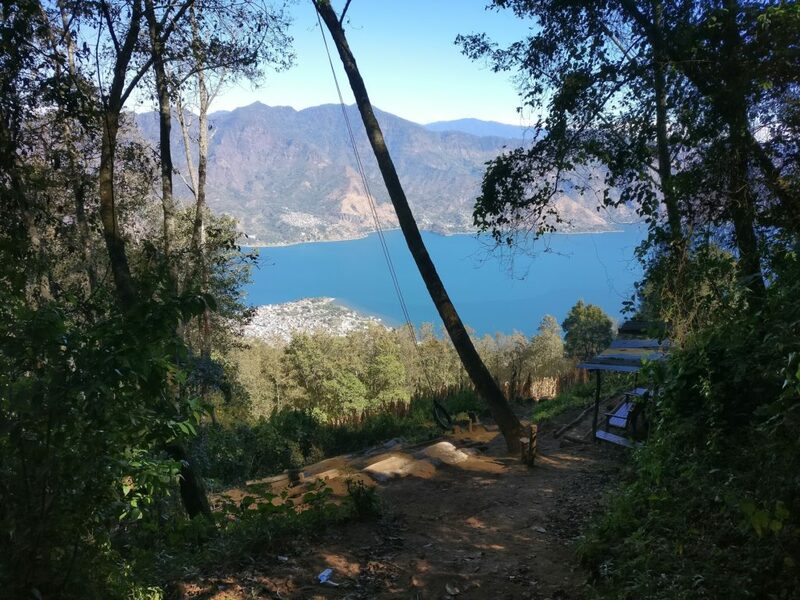 Once at the top you can enjoy wonderful Lake Atitlan panorama. 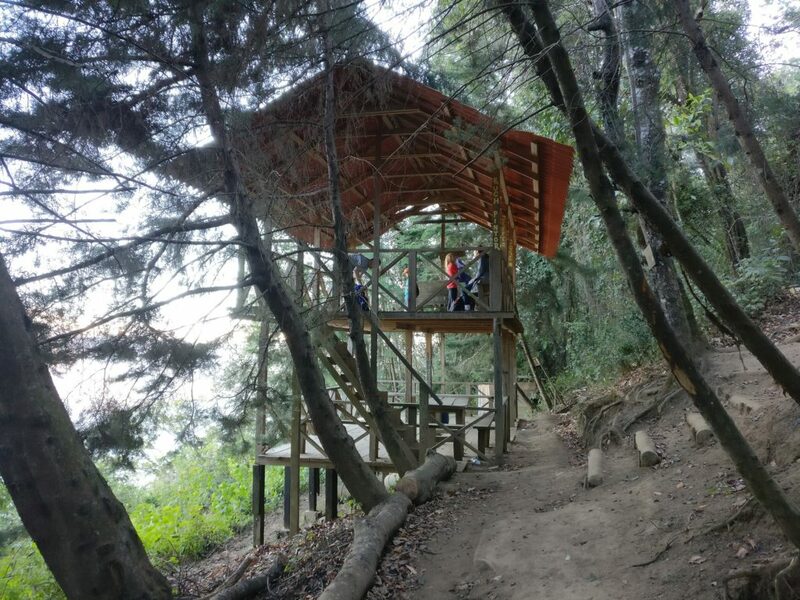 As most of the touristic sights in Guatemala you have to pay if you want to climb up the San Pedro volcano. Price is Q100 per person. This price includes guide. If you are on a tight budget or don’t want to pay for hiking in the nature – it is possible to avoid this fee. This is the scenery you are going to see if you choose to avoid entrance fee. Simply turn left 150-200 meters before the entrance gates. 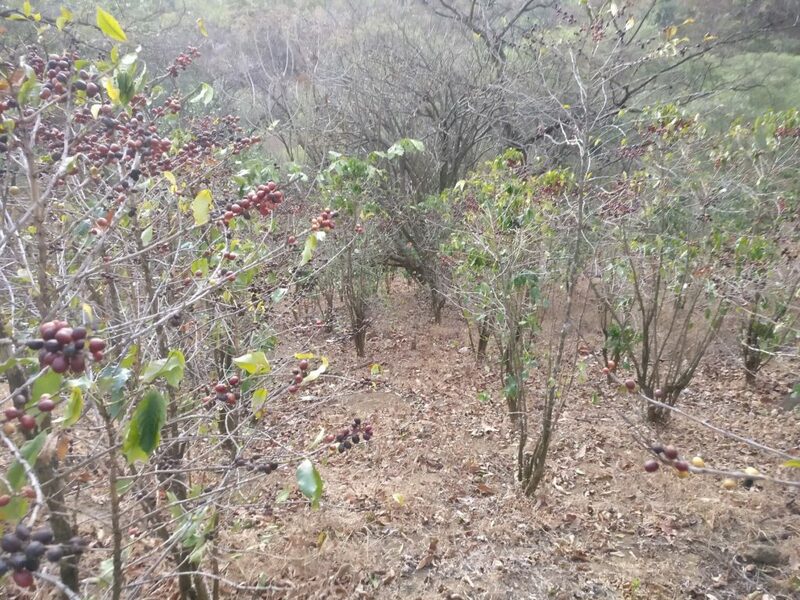 Then you will need to find your way to the trail through coffee plantations. There will be some ups and downs and it will take you around 15 minutes. Check out my GPX track at the bottom of the article to see the way I did. Make sure you walk out the same way as you walked in. You might attract some attention from the guides as you will be probably alone without guide. Most of the people choose guided option as it is included in the price. Have some answers prepared if they are going to ask you something. View from the Top of San Pedro Volcano. I recommend to stay in San Pedro la Laguna before your summit climb. This town has a lot of accommodation options for all budgets. It is recommended to start your hike as early as possible (just before sunrise would be perfect!). 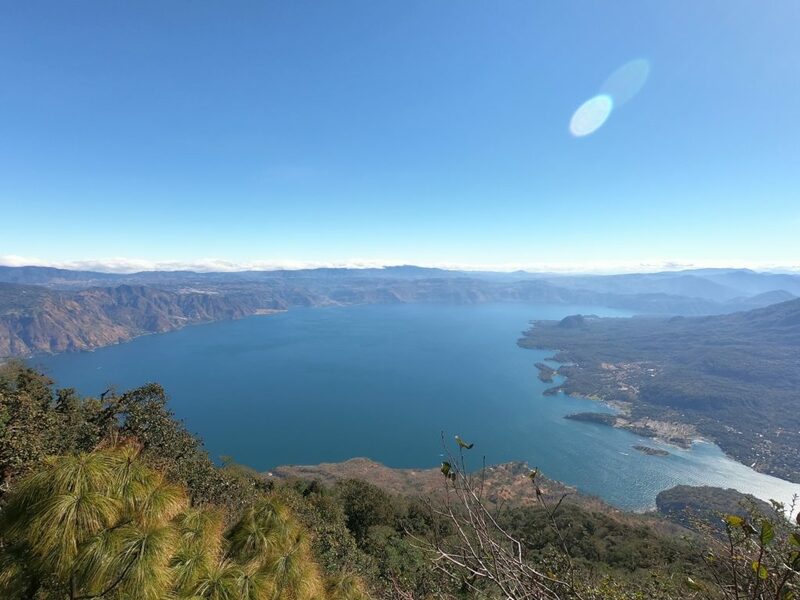 First part of the day has less clouds and you can enjoy clear views to Lake Atitlan once you are at the summit. It took us total 6 hours of hiking from our hotel door to the summit and back to the hotel. We didn’t hurry anywhere and covered 13 kilometers in distance and 1420 meters in vertical gain. Must do Tarzan Swing on the way to the summit. Beginning of the trail is not so hard. The higher you get the steeper the trail gets. 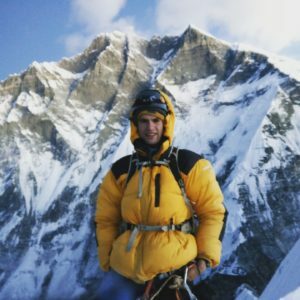 Make sure to enjoy great viewpoint with a roof, Tarzan swing made from rope and a tire on the way to the summit! Before the top I recommend to find a geocache. San Pedro la Laguna is quite close to the trailhead for the hike. It will be around 2 kilometers from any part of the town. We chose to make our trip longer and walked from the hotel to the starting place of the hike. Another option is to take TukTuk which will cost you around Q10. Guided tourists on the top of San Pedro Volcano. There are various stories about Hiking in Guatemala. Some people say that it is not safe, there are robberies, etc. But we felt quite safe while climbing Volcano San Pedro. We saw some guided groups with police or guides who had real guns, some other guides had machetes. Shelter from storm on San Pedro volcano. Mosquito spray. We didn’t used that, but when there are mosquitos it is definitely a must have thing. Sunscreen. Sun gets pretty strong at altitude, so if you don’t want your skin to be red take some sun protection. Windproof jacket. Once you are at the top it might be windy. Have a jacket with you. Plenty of water. I recommend at least 2 liters per person during hot days. Good camera for pictures. GoPro is nice option, although your phone might work as well! Hat, buff, thin gloves and hiking shoes are recommended. Light snacks for the hike and picnic at the summit. Volcano San Pedro entrance fee: Q100/person, this includes guide. Total Hike length: 4-6 hours, depends on your pace and starting place. San Pedro Volcano altitude: 3020 meters above sea level. Enjoy the hike and views from the top!